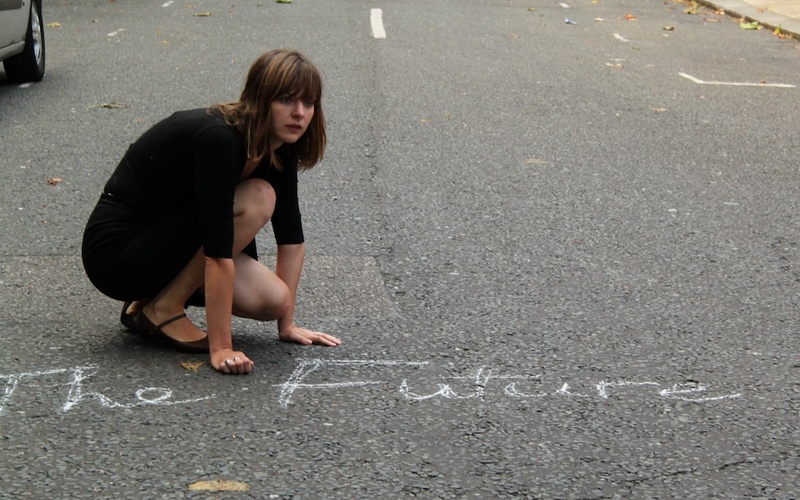 This site was a progress blog for writer/performer Deborah Pearson’s show about the Future. The person writing this “About” is Deborah Pearson. She anticipates you reading this now. She doesn’t know who you are or when you are. (She’ll probably see where you are because WordPress tracks that stuff. I know you don’t like that – but welcome to the future.) You could be reading this in five minutes or in fifteen years. No matter who or when you are, she would like you to know that in this show she attempts to describe her entire future from the end of the performance until the end of her life. She would also like you to know that she rewrites at least 30% of this show every time she performs it because she spends a lot of time talking about the immediate future, and the immediate future has a tendency to expire immediately. Try it on for size – predict the next ten seconds out loud. Now count to ten. See? That prediction evaporated into right or wrong like rain in sunlight. She would also like you to know that she posts some expired futures here on the blog, but not all of them. One day maybe she will publish them all somewhere and call the book “Memoirs of the Future.” But this is not a show about what may be. This is a show about what will be. The development of this show was funded in part by Arts Council England’s Grants for the Arts, and developed at MAKE, Amhurst Republic and BAC. Photo credit Tania El Khoury. I recently purchased your book “The Future Show” and am intrigued and would love to talk with you about it and about potentially performing it/a version of it? It would mean a lot to me to hear from you and discuss this with you, however having been almost two years since your last visible scrapling of it, I understand if you don’t care or would rather not.